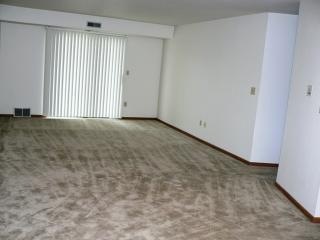 Silver Trail Apartments are the best apartments for rent in the Timmerman West area, Milwaukee Wisconsin. 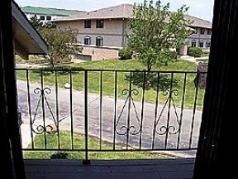 Our apartment complex is conveniently located in close proximity to Highway 45, shopping and dining. It is adjacent to the Menomonee River Parkway with miles of biking and hiking trails. Our wonderful community features rolling terrain and a beautiful park-like setting. 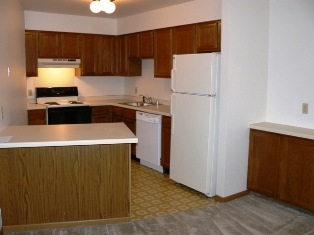 Our complex has 2 bedroom apartments with 1.5 or 2 full baths; rents range from $725 to $844 . 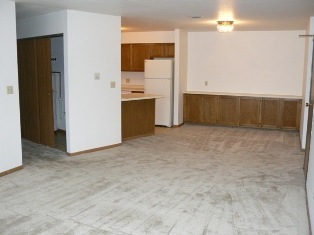 Choose from 3 roomy floor plans from 900 square feet to 1020 square feet. Some apartments have a handicapped access. Our apartments feature oak cabinetry, intercom entry, individually controlled heat and central air conditioning, mini and vertical blinds, walk-in closets, patios or private balconies,dishwasher, disposal, appliances, and heated underground parking. Our property is professionally landscaped. There are laundry facilities on site; underground & off- street parking. Cats are allowed, pet security deposit is required. 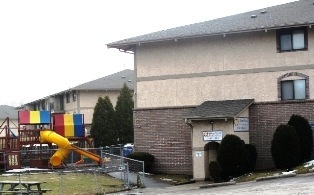 Day care facility is on site! 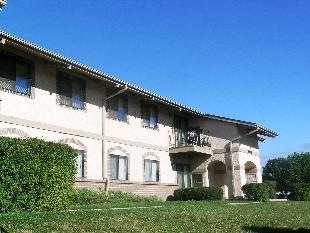 Easy Freeway Access, Minutes to Downtown, minutes from the Medical College. On-Site Management; 24 hours emergency assistance. Each apartment is equipped with range, refrigerator, dishwasher, garbage disposal and outdoor parking space or attached garage parking space with electric garage door opener. The heat is Natural Gas and tenants pay for own utilities. Rent includes : parking , water, sewer, dryer and washer in common laundryroom, garbage removal, stove, refrigerator,dishwasher, garbage disposal and air conditioners. There is a 1 month rent security deposit required and we do allow cats with pet security deposit of $300. You can reach us at 414-466-2211 and by fax at 414-466-1561. We are looking forward to hearing from you. You can also contact us at our e-mail address: sivertrailoffice@yahoo.com. with us is online: We would be pleased to hear from you! 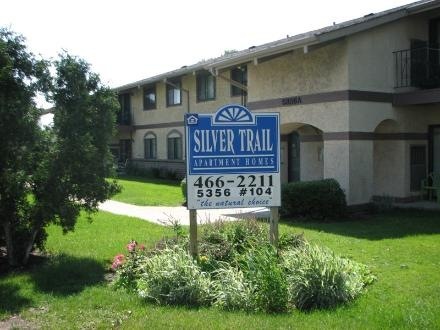 In brief, you should know the following about us: Silver Trail Apartments was built in 1985 and provided outstanding service to our tenants ever since.